If you have ever considered taking steps to achieve a straighter smile, you have likely compared traditional metal braces to Invisalign . When making the decision, you are not only basing your choice on how your smile will look, but also your lifestyle. Invisalign offers a better choice for some when it comes to corrective dentistry. Read on to learn more about whether or not Invisalign might be right for you. Unlike traditional metal braces, Invisalign works through a series of custom fit plastic trays that slowly move your teeth over time. Since they are made of a clear plastic material, Invisalign is virtually invisible . Metal braces have brackets that are affixed to the front of your teeth and are visible from the time they are put on until they are taken off. Invisalign blends in so well, no one will be able to tell you are wearing them. If appearance is a concern for you when making your decision, Invisalign may be the better choice. Since Invisalign works by wearing aligner trays, they can be removed. This means with Invisalign, you don’t have to make any changes to your daily routine of brushing and flossing. You can maintain your oral health care regimen; all you have to do is remove your trays. Additionally, you don’t need to make any adjustments to your diet. With braces, there are certain foods that need to be avoided. Invisalign trays can be removed at mealtime, meaning fewer restrictions. With Invisalign, you don’t have to make big changes to your everyday life. A big factor in determining if Invisalign is right for you is what kind of dental correction you need. Invisalign works best for individuals who are looking to achieve a straighter smile. If you can get your desired results by making easily predictable movements, Invisalign is the solution for you. When you are ready to talk to your dentist about Invisalign in NYC , look no further than Park 56 Dental. To schedule a consultation, call (646) 783-3529. If you have ever looked in the mirror and wished you had straighter teeth, you may have considered the prospect of braces. 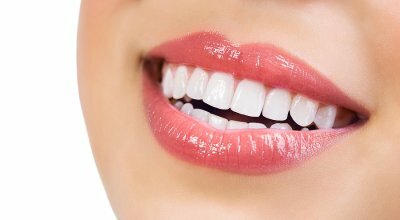 When you work with the top dentists in NYC, however, Invisalign is an option as well. Keep reading if you are interested in comparing Invisalign to traditional metal braces. Although traditional metal braces have been effective in repositioning and correctly aligning teeth, they have not been known to do so in a particularly discreet fashion. Today’s braces have come a long way in terms of cosmetic appeal, but Invisalign is still the clear choice when it comes to discreetly realigning your teeth. The Invisalign treatment method includes the use of aligners, which are clear plastic trays that guide your teeth into position. In stark contrast to traditional metal braces, these trays are virtually invisible. This advantage makes Invisalign a perfect choice for working professionals. Traditional metal braces are a commitment, and this turns some people off. While Invisalign is also a commitment, you have the freedom and flexibility to take your aligners out whenever you want. This means that you do not have to restrict your diet to foods that won’t get caught in your braces, and you won’t have to worry about your meal damaging your orthodontics. You can take your aligners out for an hour or two each day without worrying about your progress being undone. Since Invisalign aligners are removable, they allow you to care for your teeth the way you normally would. Rather than navigating through a maze of braces and wires, you can brush and floss your teeth with ease. If you want to keep up with your dental hygiene as best as you can during treatment, Invisalign offers the advantage. For a more detailed comparison of Invisalign and traditional metal braces, contact Park 56 Dental or visit our website. In addition to Invisalign in NYC, our team specializes in dental fillings and teeth cleaning. 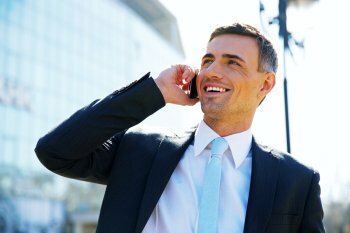 Feel free to call some of the top dentists in NYC at (646) 783-3529 or stop by our offices to meet with us today. Make Invisalign Treatment Even Easier with AlignerMeter! Invisalign is safe, effective, and convenient, and it just got easier. 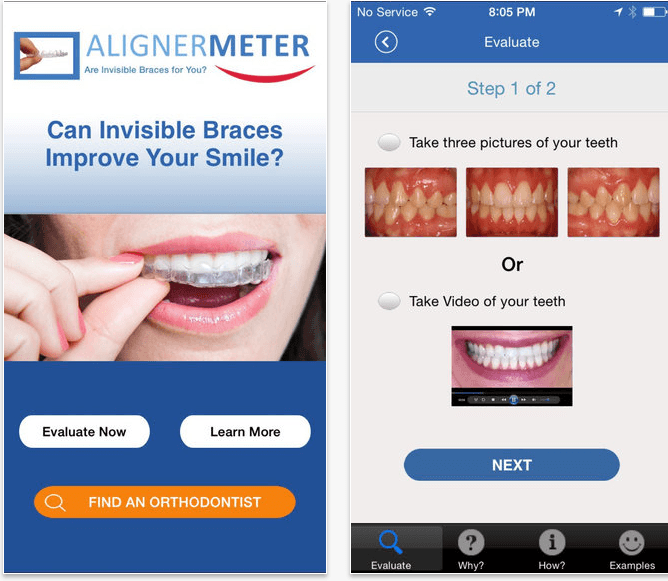 Find out how you can make Invisalign treatment even easier with AlignerMeter. If you have ever wondered if Invisalign is right for your needs, you are not alone. Fortunately you can use the AlignerMeter app to find out. All you need to do is photograph or record a video of your teeth to be submitted to a board certified orthodontist. You can then find out if you are a candidate in as little as 24 hours. Park 56 Dental is proud to consist of some of the best dentists in NYC. From Invisalign to emergency dental care, we are happy to help you keep your oral health in top shape. You can learn much more about our services by visiting our website or calling us at (646) 783-3529. If you live in the area, stop by and meet us today.